WHAT EXACTLY IS THE IFC? • The IFC is the flagship annual event of the Resource Alliance. • The IFC brings together 1,000 fundraisers and changemakers from over 60 countries and 500 global organisations. • The IFC is an all-inclusive experience, which allows participants to truly immerse themselves in learning, sharing, reflection, and networking. • The IFC is richly curated sessions that bring together the best ideas, newest concepts, and most innovative solutions from the social impact sector and beyond. • The IFC is 100 world-class speakers delivering both intimate sessions and engaging high-level plenaries. • The IFC offers a full social programme including networking dinners, a Gala Night, and guided meditations. • IFC participants also benefit from more informal opportunities for peer-learning and community support. 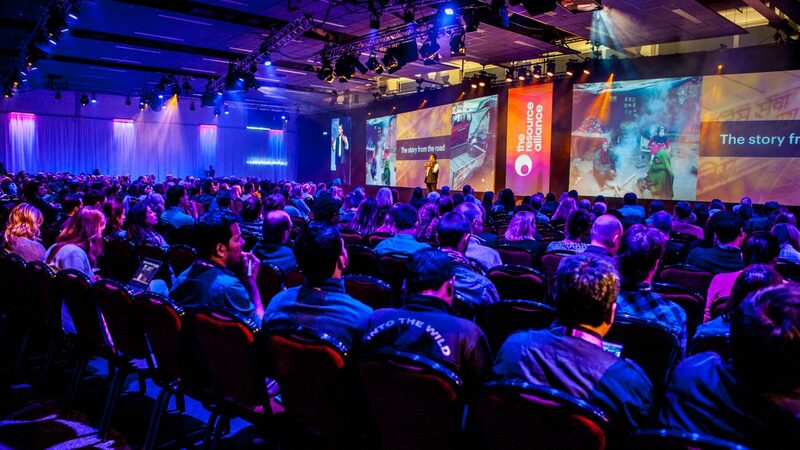 • The IFC offers a variety of session formats and styles, from deep-dive masterclasses to interactive workshops, inspirational plenaries and big room keynotes. • The IFC programming includes a wide array of highly relevant and internationally trending topics such as fundraising, ethics, social enterprise, corporate partnerships, leadership and strategy, digital marketing, innovative finance, and so much more. • IFC participants all come away from the conference with fresh ideas about generating income, methods to engage more deeply with their communities, and ultimately how to have a more profound impact on the causes they are passionate about. • The IFC is committed to diversity, equity and inclusion. We place a high value on including a diverse range of voices in every session, in particular those from underrepresented communities. WHO IS THE IFC AUDIENCE? • It’s actually impossible to describe the ‘typical’ IFC participant! • While the majority of participants are involved in fundraising in one way or another, IFC also attracts leadership strategists, digital marketing gurus, innovative financers, socially-conscious artists, social impact consultants, in addition to CEOs and Heads (and hearts) of global organisations. • IFC participants work for organisations ranging from major global brands, such as the International Red Cross, Greenpeace, and UNICEF, to small local organisations where they may be the only fundraiser supporting the whole organisation. • Roughly half the delegates each year have attended previously, but the other half are attending for the first time. • IFC participants hail from 60+ countries and 6 continents representing a wide range of ethnicities, races, creeds, sexual orientations and gender expressions.